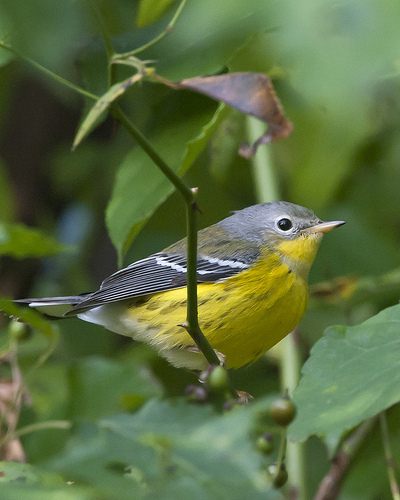 Today I saw the first Magnolia Warbler I have seen this year. I had a very good look clearly seeing all the field marks and definitely identified it as a Magnolia. My quandary is whether to add this bird to my 2013 Bird List. There is no doubt this was a Magnolia Warbler. But unfortunately, this tiny warbler was dead, laying on the ground near the base of a 5 story building – must have flown into a window. Should I add it to my 2013 list? Does a dead bird count? As you know, I see lots of dead birds on my bird-rescue rounds, and I choose not to count them for listing purposes. I’ve missed out on a few lifers that way, but I figure I’ll get those eventually. Including dead birds doesn’t seem right, for me. Just my $0.02.